"The expression of space by any means whatsoever, sharpness of edge, vividness of colour, etc. assisted by greater pitch of shadow, and requires only that objects should be detached from each other by degrees of intensity in proportion to their distance, without requiring that the difference between the farthest and nearest should be in positive quantity the same that nature has put. 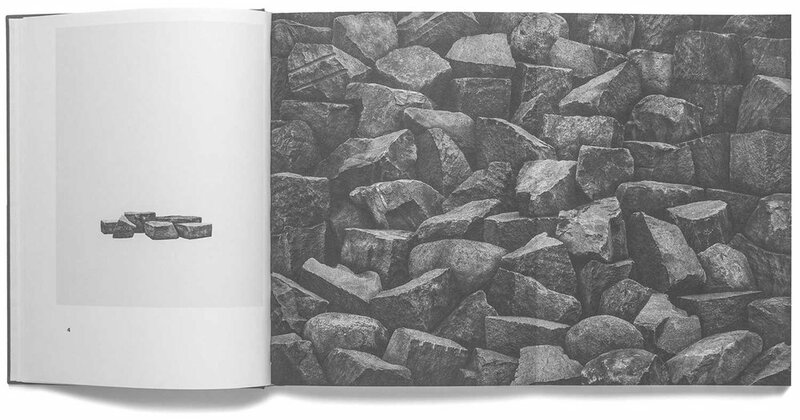 Many of you know that I am always on the lookout for books that stray from the usual and a new book from Fotohof by Jurgen Bergbauer called "Studien nach der Natur" does just that. Studien nach der Natur (Studies after Nature) certainly isn't going to everyone's cup of tea but my tastes run wide and this is now one of my favorites of the year. 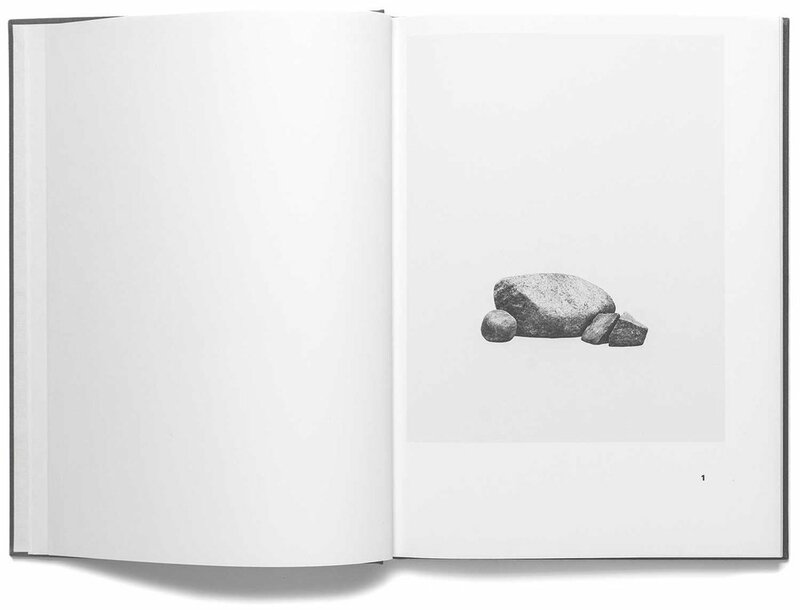 This is an archive of 665 photographs of 152 different rock forms that were found at roadside. Bergbauer photographed them from various perspectives and arranged them, in his words, by "form and applicability." 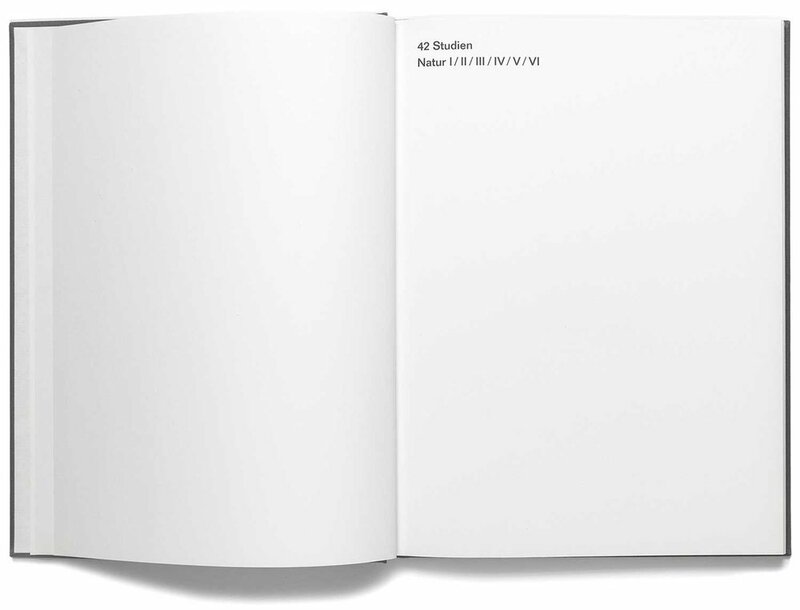 The 42 plates in this book (plus 6 fold-outs and an extensive archive of all of the objects) show compositions of the rock formations silhouetted against plain Becher-esque off-white backgrounds. These "studies" were based on the compositional criteria of: form of the object and positioning of the objects within Bergbauer's defined space. Studien nach der Natur is rigid formalism with a methodical, almost scientific approach. Bergbauer's camera shoots them from various angles that would have made Brook Taylor take note. Bergbauer in the past has photographed various architectural forms and removed them from the context of their surroundings - sitting them exposed for their own consideration against his standard off-white background. In the case of these "nature" studies he is creating these compositions from the individual elements as opposed to just finding them arranged in situ. In fact, Bergbauer's method behind them is complex and part of this book begs for that to be decifered. His book's title seems also to be a slight play on words as most of the objects are far from naturally occurring - they have been altered by the hand of man in a few ways. Like stone cut blocks one might find near a quarry, each seems to have been shaped with a purpose in mind. They have been removed from nature, cut and shaped then replaced into nature, "removed" a second time (metaphorically speaking) by the photographer and placed into these compositions. Stone cutting and theories of perspective have had an important relationship throughout history so does that have something to do with Bergbauer's choice of subject? I wouldn't doubt it. 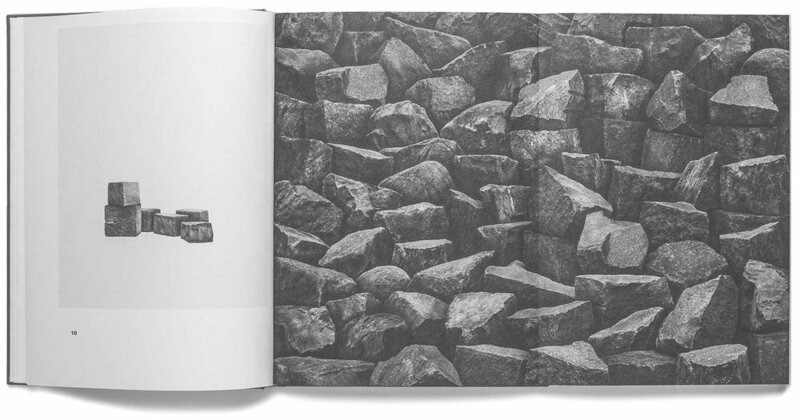 Interspersed every few plates is a foldout which reveals additional complex compositions of hundreds of the rocks stacked together as if they were a restraining wall found along a highway. These six plates are titled Nature I - VI. In addition, the last few pages includes the entire archive as thumbnail images with corresponding identification numbers. Bergbauer also classifies each type of object variation and provides a key to unlock the logic behind each composition. With all of the numbering and method it is hard to not think the design is due to specific theories of perspective at work. As a book Studien nach der Natur is perfect in my opinion. 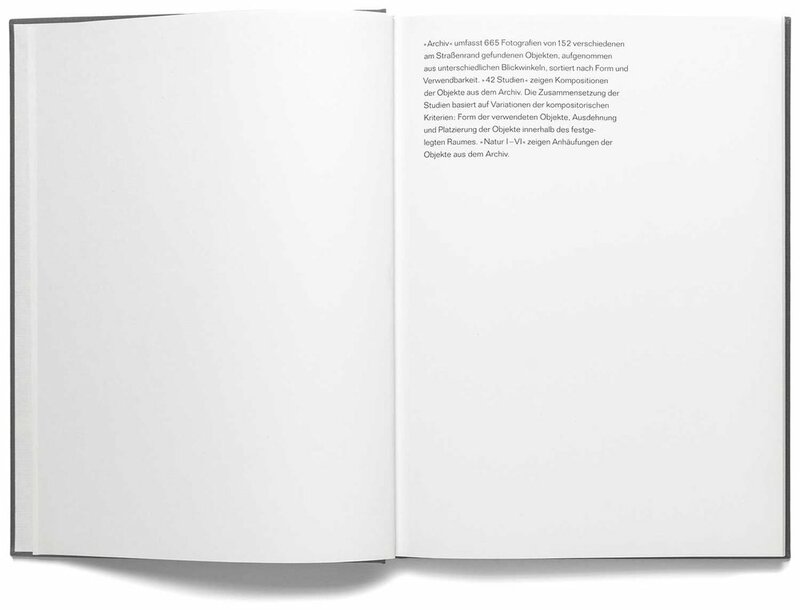 The design by Till Gathmann is tight and clean with a fine flair for blue accents on the jacket (think Tschichold). The choice of materials couldn't be better. I did say this is perfect so do I need to mention the wonderful printing?"